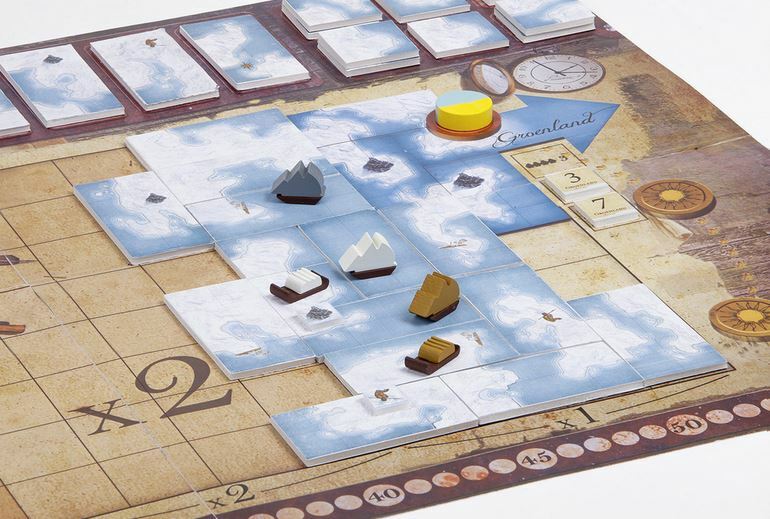 Expedition: Northwest Passage looks like a very interesting game. Players each have a ship, a sled and some crew and are trying to explore the unknown, find the Northwest Passage and return back to Greenland (from where they start). Players score victory points (VPs) for finding the Northwest Passage, returning to Greenland, and for finding evidence of the (real-life) expedition that disappeared in a previous attempt.